It is important to know dog ear mites treatment methods in case your favorite pet has a problem with insects. This small insects can cause a lot of discomfort in your dog if he is infested with them. They cause irritation and even pain since they lead to sores and inflammation in the dog’s ears. In fact, if they are not attended to at the right time, they are able to cause other serious infections. It is why it necessary to do a proper treatment for ear mites in dogs. 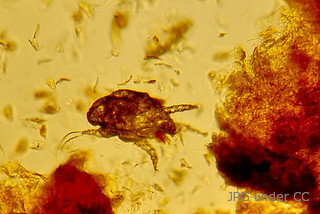 If you have not come across ear mites, these are tiny parasites that live on the surface of the canine’s ears. These creatures are easily transmittable and can be passed with so much ease from one infected dog to another through direct contact or even through humans who are able to carry the mites on their skin from other pets that have this mites. Before rushing to look for treatment method, it is important that you know the conditions for which you will be required to seek treatment. If your dog has been infested by this insects, you will see him shaking his head and also scratching his ears to try and get rid of this mites. He will show noticeable discomfort due to the irritation that the parasites cause to the ears. However, even if you look at the ear of the dog, you may not be able to see this insects. To help you confirm the presence of these pesky insects, you can find pictures of ear mites in dogs on the Internet. The signs of ear mite infestation on your dog include red inflammation around the ears. In certain cases, you will also be able to see black spots that look like dried blood and even a buildup of wax within the ears. If you do not find the ideal treatment at the right time, this insects are able to move further down into the middle of the ear causing infections therein, which could lead to serious complications. An easy dog ear mite home remedy you may administer to your canine is cleaning out the ear to try to relieve the discomfort. You can do the cleaning using an eyedropper or a syringe to insert vegetable oil or olive oil into the ear canal. However, when using the syringe, always remove the needle. Whenever you are giving the treatment, keep the head of the dog still and thoroughly massage the ear to loosen any dirt that might have been caused by the mites. Use cotton balls to clean out the ear. You can also use Sulphur or Psorinum as natural treatments. Another dog ear mites home treatment to try is herbs. Remedies administered to get rid of these parasites include a mixture of nine drops of Yellow Dock Root Extract and one table spoon of clean water. Insert the mixture into the canine’s ear using an eye dropper and then massage thoroughly after every three days for about six weeks. You can also mix a half an ounce of Almond Oil with 400 IUs of Vitamin E. However, before using the mixture, warm it up to body temperature and then apply to the affected area an amount of about half of an eyedropper. After application, massage thoroughly using cotton balls for six days; however, you need to leave it for three days before repeating the treatment. If a dog mites home remedy does not work for your best friend, consult your veterinarian who will be able to provide you with an effective treatment.